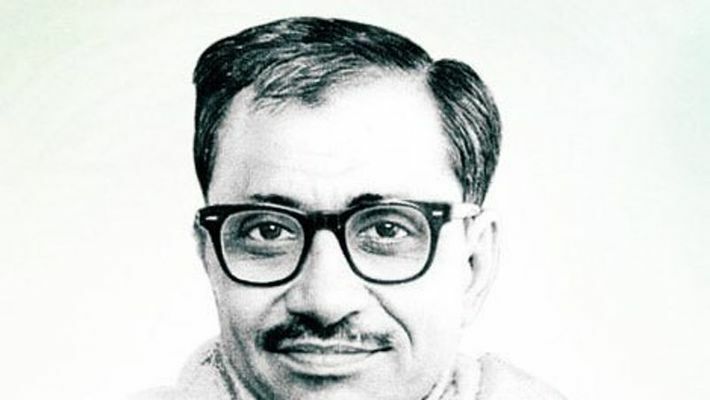 New Delhi: The BJP is observing Samarpan Diwas on February 11 to commemorate the contributions of its founder leader Pundit Deen Dayal Upadhyaya on his death anniversary. Upadhyaya, who was a prominent RSS thinker, was found dead under mysterious circumstances on February 11, 1968 in Uttar Pradesh. Upadhyaya was traveling in the Sealdah Express for Patna when he went missing. His body was later found near a traction pole 748 feet from the end of the platform of Mughalsarai station, where the train halted. He was last seen alive at Jaunpur at around midnight. His body was discovered clutching a five-rupee note in his hand. A CBI investigation claimed that robbers pushed out Upadhyaya out of the coach before the train entered the Mughalsarai station. He was 52. Upadhyaya was then the president of the Bharatiya Jana Sangh. Though another independent inquiry by the CBI claimed that the murder was committed by two thieves who wanted to rob Upadhyaya, RSS remained unconvinced. CBI later arrested Bharat Lal and Ram Awadh and as per the investigating agency, they confessed to pushing Updadhyay out of the train after he threatened to reports their act of stealing to the police. However, due to lack of evidence, the two accused were acquitted of the murder charges. Lal alone was convicted of the theft of the belongings of the deceased. In 2017, Upadhyaya niece and several politicians again demanded a fresh probe into the matter. However, till today, mysteries surrounding Upadhyaya’s death still prevails.